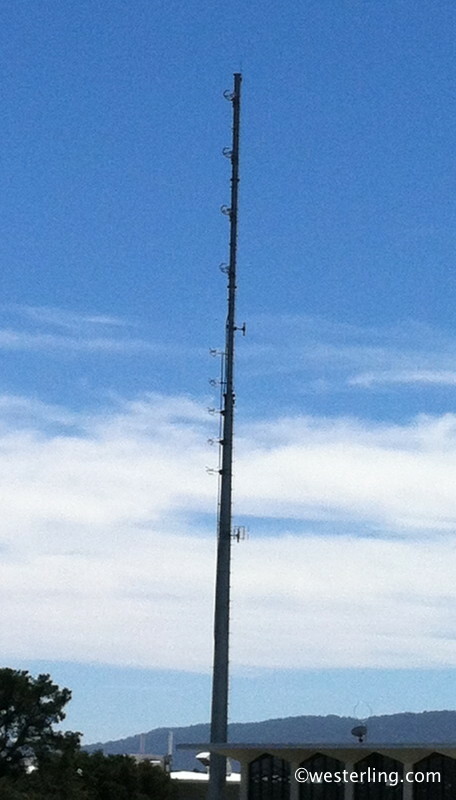 Here’s a shot I took recently of the KCSM FM antenna tower on the campus of the College of San Mateo. You can see the primary antennas on top (4 bays) and their backup is underneath (5 bays). I think the little guys on the back are just antenna mounts, not actual antennas. It’s a pretty elegant tower and they have done a good job covering the bay area from this location with many upgrades over the decades.